As part of a pilot project, an area along the Eilbekkanal, near the Alster, has been designated for houseboats. Winners of the invited competition are given the opportunity to realize their project. The design is based on naval architecture and prioritises the most effective use of space. All rooms and areas are multi-functional, thus effectively dealing with the challenge of limited space. 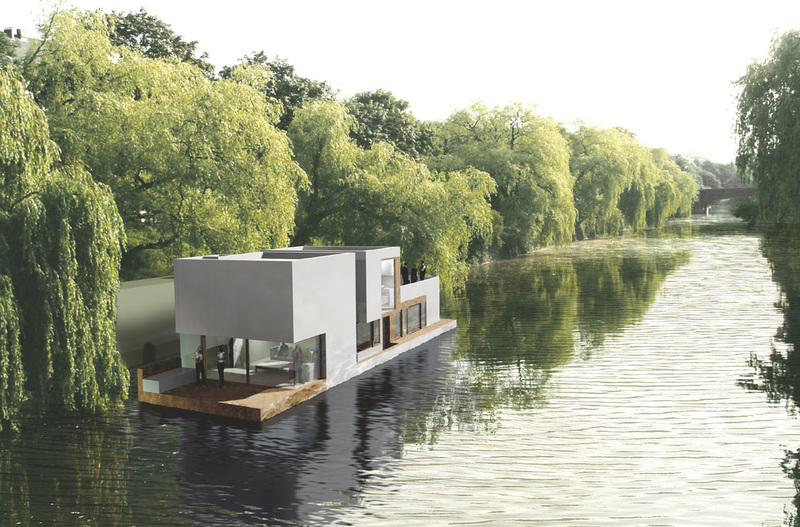 The houseboat is divided into separate but interlocked structures. The design takes account of the differing perspectives from land and water. Projections and recesses give rooms and walkways a distinctive quality. On the waterside, large-sized openings dominate the design of the structure, allowing for a variety of views both into and from the building. The effective interplay of coloured steel panels with dark wood distinguishes the exterior. 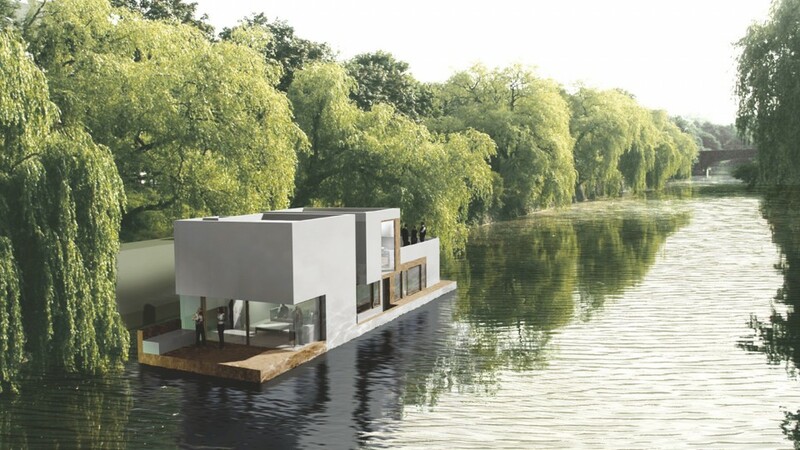 The houseboat is created as a wooden frame construction on a steel pontoon. The upper floor is separated in the middle by an open corridor and staircase, lending the entire structure a distinctive urban flair, while maximising the use of natural light and providing further lines of sight onto the canal from the bank side.